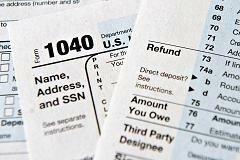 By converting, the tax-averse also rid themselves of the mandatory-and taxable-withdrawals from IRAs and 401(k)s that come at age 70-and-a-half. When funded by a Roth IRA, one type of annuity-an immediate fixed annuity-gives its owner an income stream that's not only tax-free but guaranteed for life. Even those funded by taxable savings can yield low-tax income because each monthly payment contains a small slice of your premium, which has already been taxed.